Today, DCI Season Pass subscribers will enjoy full event coverage of DCI Southwestern in San Antonio, Texas. Look for new video vignettes, a cool photo gallery and more from the superb state of Texas tonight. Not a DCI Season Pass subscriber? Subscribe now! Hometown favorites Revolution opened the festivities this afternoon at the Alamodome. 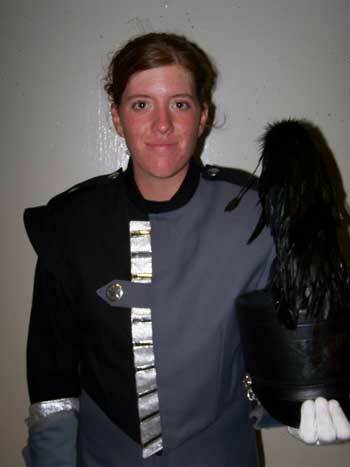 Traci Finch, 18, of Round Rock, Texas, is Revolution's drum major. In 2003 she marched with the Patriots. She came to this San Antonio-based corps due to its proximity to home. "It was awesome!" Finch said of Revolution's performance today. "It was amazing! They were so into the show. The crowd response was amazing." Subscribe now to read more!